If you are travelling to Kenya and need a visa, or are renewing your Kenyan passport, you will need a Kenyan passport photo or visa photo, and Reload Internet is the best place to go to! 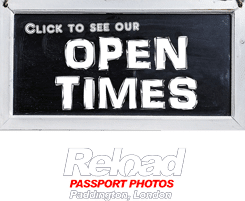 We are a professional passport photo studio that has been operating in Paddington for over a decade, and we specialize in Kenyan passport and visa photographs. 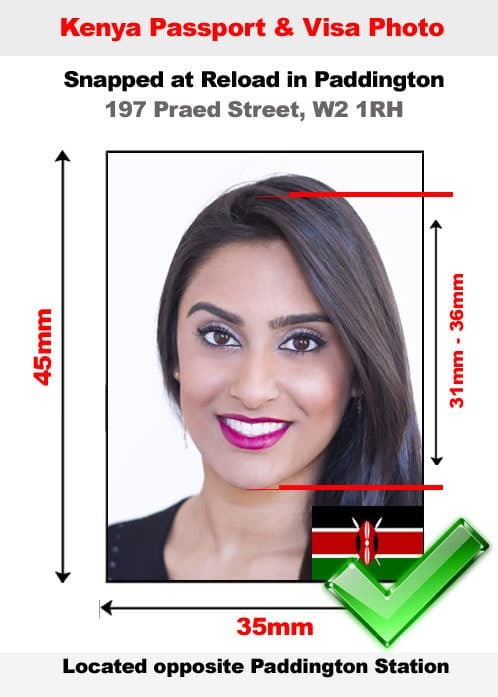 You don’t need an appointment to have your Kenyan passport photo or visa photo taken by us, just visit our store and a member of our team can have your photos ready within 10 minutes! Kenyan passport and visa photos are usually taken by qualified photographers, due to the strict specifications requested by the Kenya High Commission. Instant passport photo-booths are not able to produce pictures of sufficient quality, and if you submit one of these photos with your application it will likely be declined due to a photo error. At our studio located in Paddington, London, right next to both Paddington tube and train stations, we have professionally trained staff and state the latest camera and printing equipment that we will use in order to produce a Kenyan passport photo or visa photo that meets all of the requirements and is of high quality. Our store is open 7 days a week, from early morning until late evening, so you can come and have your Kenyan passport photo or visa photo taken at a time that suits you! Even on Sundays we close late at 8pm! A copy of your Kenyan Id is required. If your application is not accompanied by a copy of Kenyan ID, then your application will be referred to the Director of Immigration Services for approval and issuance. A copy of a perfectly filled application form (form 19). Application for the renewal of passport by a citizen of Kenya, a copy of his /her passport should also be provided by this same Kenyan citizen. A very well filled application form. One copy of Kenyan identity card is required. If the application does not come with an identity card, it will be send to the director of Immigration Services for processing. There should be no shadows seen in the background. It is important to have all facial characteristics evident. Ensure the two ears are visible. No part of the face should be covered by weave. Our specifications are taken from the Kenya High Commission’s guidelines on passport and visa photographs, which you can see here.